Q: What is a slate sealer? 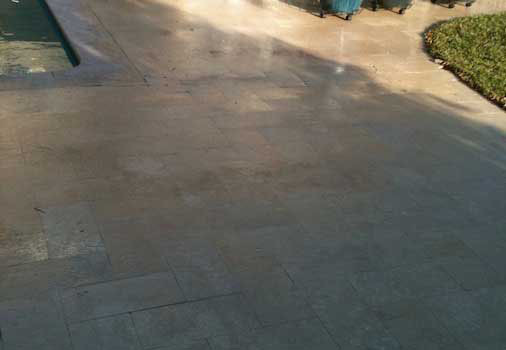 A sealer is a liquid, or carrier containing a resin that is applied to porous natural stone or man made surfaces that helps prevent staining from water and/or oil based materials as well as help to achieve better results when cleaning your surfaces. 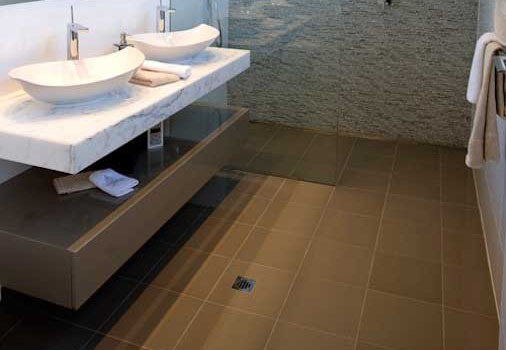 Sealers are different from polishes and are actually designed to keep liquids and dirt particles from sinking into the natural stone. It is extremely important to have your slate tiles sealed. All slate tiles should be sealed when they are first installed; this initial seal can last up to 15 years when a quality sealer is applied. It is important to call us as soon as your slate floors are installed so we can protect them before any accidental permanent damage occurs. 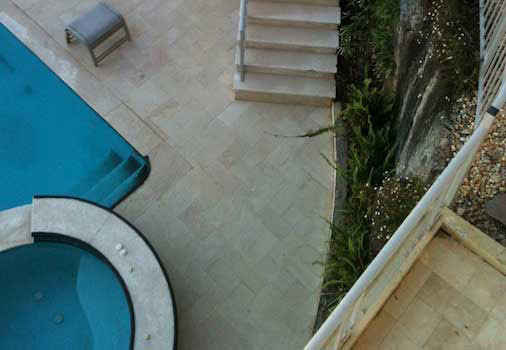 The best sealer to use for slate around swimming pools is our high quality Impregnating Penetrating Water Based Sealer that protects your stone to the core and eliminates the slipperiness factor other sealers can create with slate. 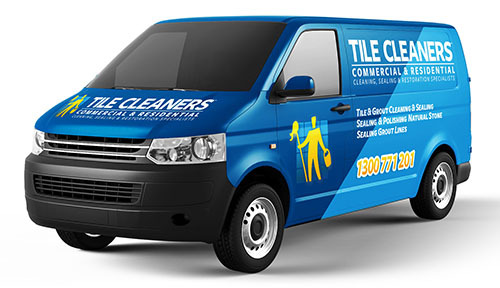 Tile Cleaners® advise the simple "water test". The water test is well known in the stone industry and it will help you determine whether your slate floors require sealing. First you need to place a few drops of water on your stone and let it set for around 10 to 30 minutes then wipe it dry. If your stone did not darken, it means your slate is perfectly sealed and does not require sealing, but if it has darkened, it means that the water was able to penetrate your stone and sealing is required. All of our sealing products are water based, we do not apply solvent- based sealer except in certain cases where it is the only option. The sealer will not affect the texture of your slate tiles in any way; however, it will protect your slate from staining and maintain that lustrous, natural finish you are looking for. Yes we do. Colour enhancer is a compound designed to enrich the natural look of slate. It darkens and enhances the colour of your tiles and brings out the natural beauty in your slate, giving a slight wet/low sheen look. Tile Cleaners® colours enhancer will not affect the texture of your slate floors, however, it will enhance the colour of your surfaces and bring out the natural beauty of your slate. 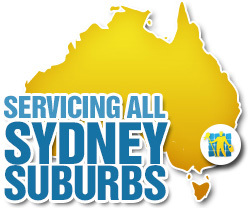 Our professional team will go through the job processes with you step by step so you know exactly what you're getting. The process includes stripping any previous sealer if it was applied, the slate is then thoroughly cleaned and neutralised so that it is free of dust, residue and anything else that can affect the new sealer. A new sealer is applied to the dry slate floor and allowed to set. The newly sealed slate floor will not only look new again, it will be protected and result in your slate becoming easier to maintain. It all depends on the size of the area that we are sealing but most jobs take 4 - 8 hours to complete. 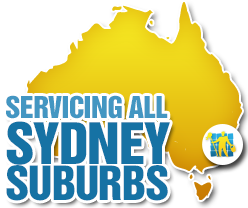 We do cleaning and resealing in the same day when possible so you don't have to fuss with more than one appointment. It takes 4 hours to be touch dry and normally 24 hours for the sealer to fully cure, which is when you can put everything back into place. Nothing hard such as furniture can be moved on to the tiles and grout for at least 24 hours. 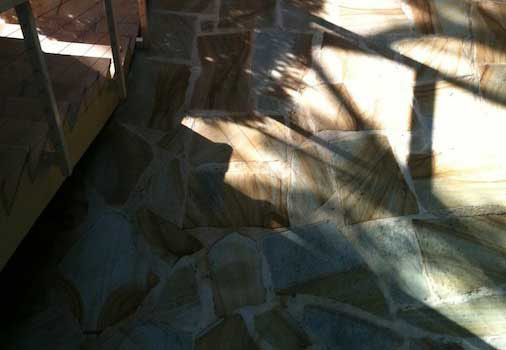 Tile Cleaners® apply two main types of high quality sealer, deep penetrating sealer and topical sealer. 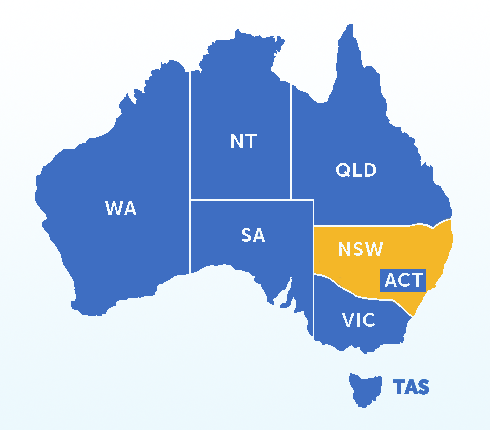 Topical Sealer has lifetime expectancy of around 3 years and Australia's Deepshield™ range of impregnating water based sealer's last for up to 10 years while Deepshield™ Gold based on the latest fluoro-bond technology can last for up to 15 years dependent on usage and weather conditions. Deepshield™ Impregnating Penetrating Sealer does not alter the slipperiness of your slate tiles' surface as the sealer penetrates the top layer of your slate. Topical Sealer may result in your slate floors becoming slippery when wet. 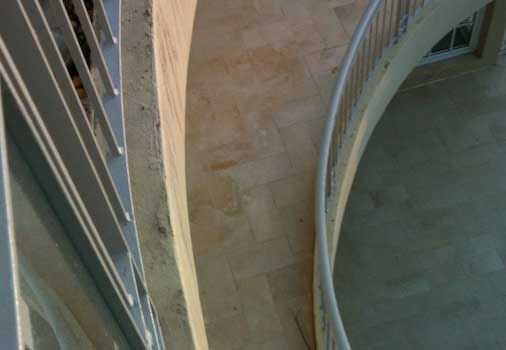 To maintain the look and slip resistance of your slate and to prevent damaging moisture from being trapped within the stone, it is recommended to seal your surfaces with a high quality, invisible, fully breathable impregnating sealer. Any acidic substance is harmful for your slate tiles, they can be etched(eaten/corroded) easily and sealing against acid attack is very difficult. The best way to protect your slate tiles from acid attack is to seal and clean spills immediately. The high porosity of stone based tiles makes sealing a must in order to provide protection against future acid attack and liquid spillage. Tile Cleaners® colour enhancing sealer may help hide those nasty scratches you have, but we cannot guarantee that they return to their original condition. Deepshield™ Penetrating Colour Enhancing Sealer darkens your slate tiles by up to 20% and can help camouflage etches, restoring the natural, new look of your slate floors. To keep your slate tiles and grout looking new, Tile Cleaners® recommend cleaning each week with a mild detergent to remove any dirt or grime from the slate surface. Strong detergents(strong acid or alkali) may affect the sealer, mild detergents and pH neutral substances are strongly recommended. Our best advice to protect your slate tiles is to seal them with one of our highest quality sealers. This is the best protection your slate tiles can receive against staining. 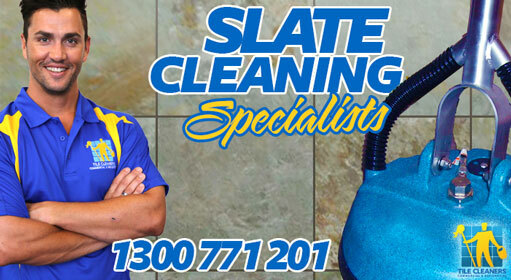 Tile Cleaners® charge per square meter for each separate slate room. There is a price list on the Tile Cleaners® website for you to review. Before we begin our work we will measure each room individually, confirm the work to be carried out as well as confirm all costs with you. We recommend that you measure each slate area separately. The simplest way to measure is by multiplying the width by the length. For example a room that is 3 meters long and 2 meters wide is 3 X 2 = 6m2 in total.